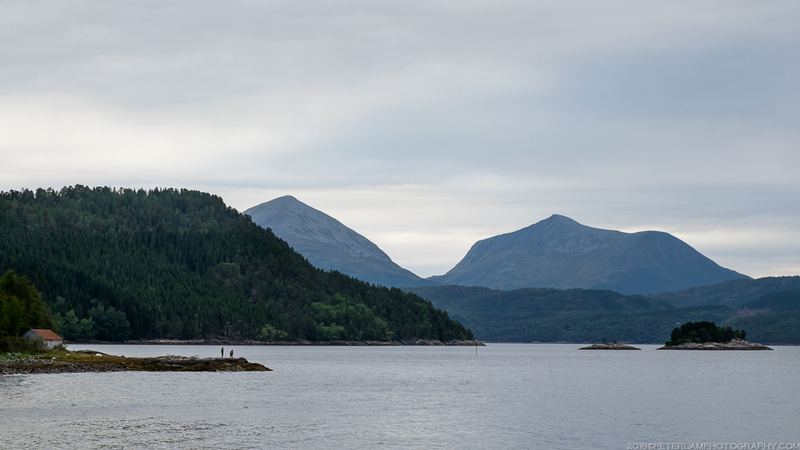 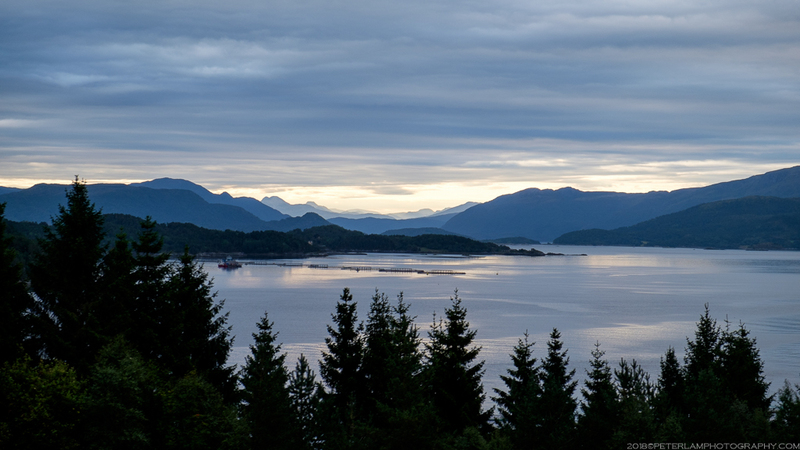 The last two days of our Norwegian Roadtrip were spent covering the 300-km stretch between the cities of Ålesund and Trondheim, the northernmost destination of our 10-day itinerary. 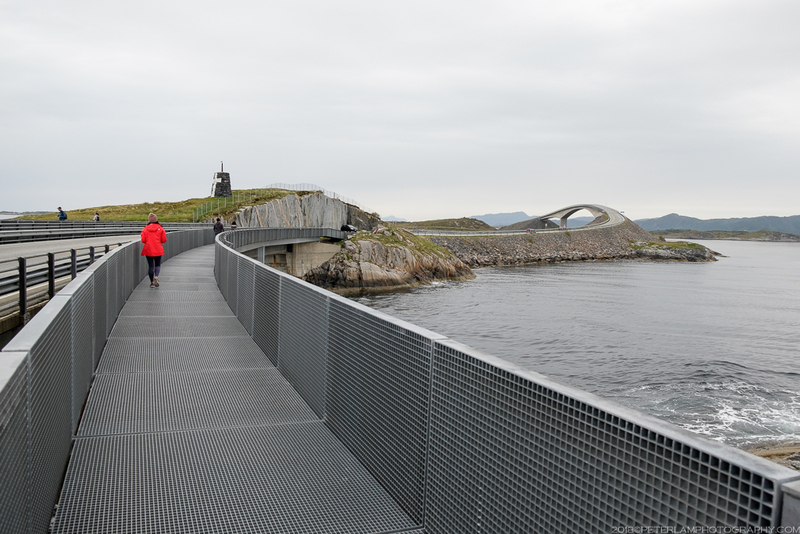 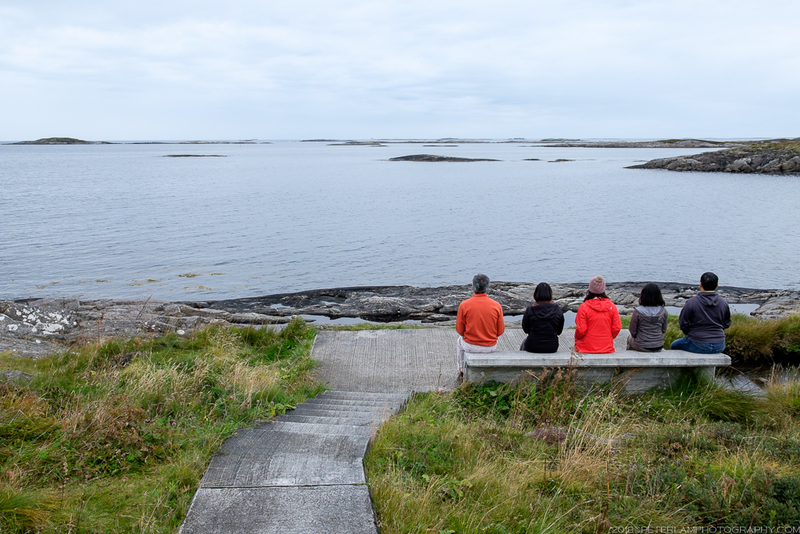 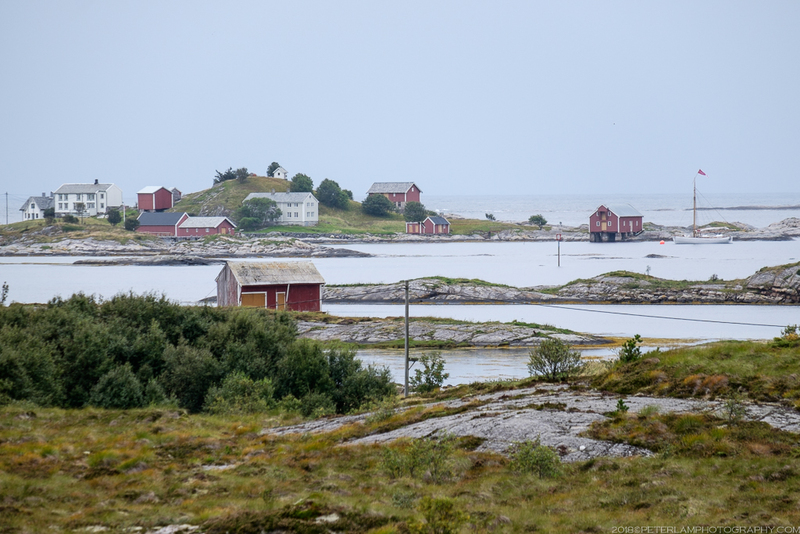 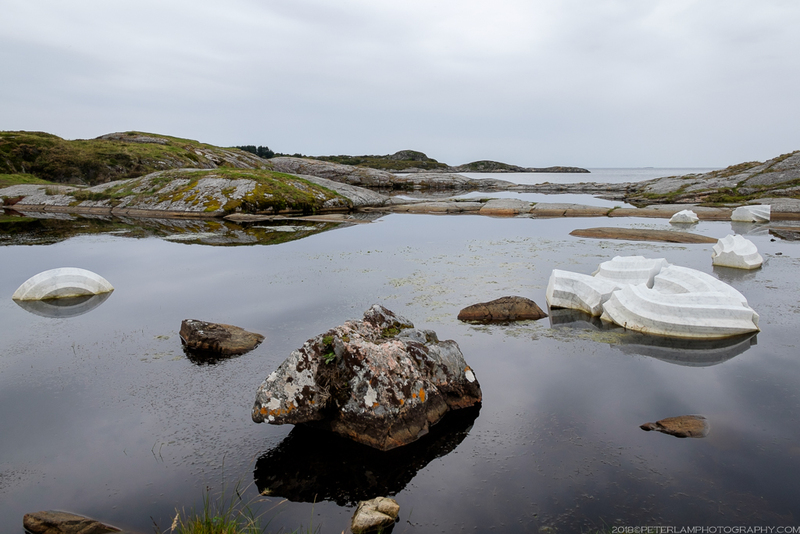 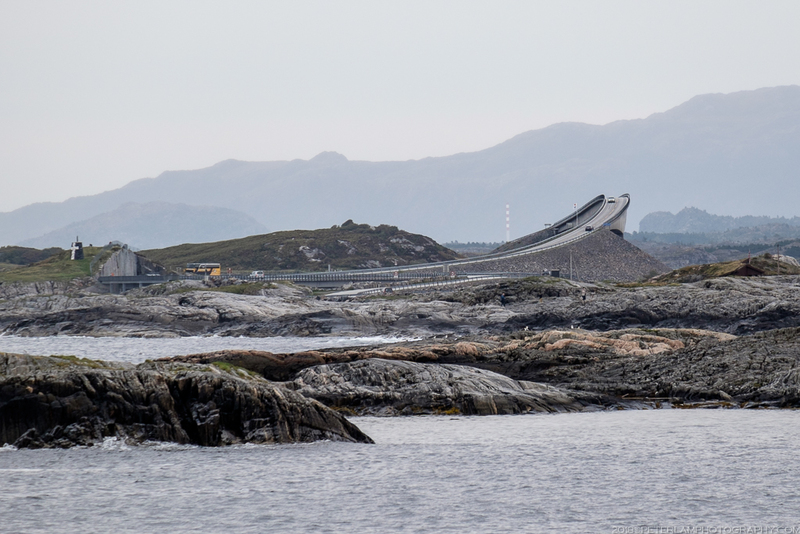 The highlight of this scenic drive is the Atlantic Ocean Road, an 8.3-km stretch of highway that runs through an archipelago and part of County Route 64. 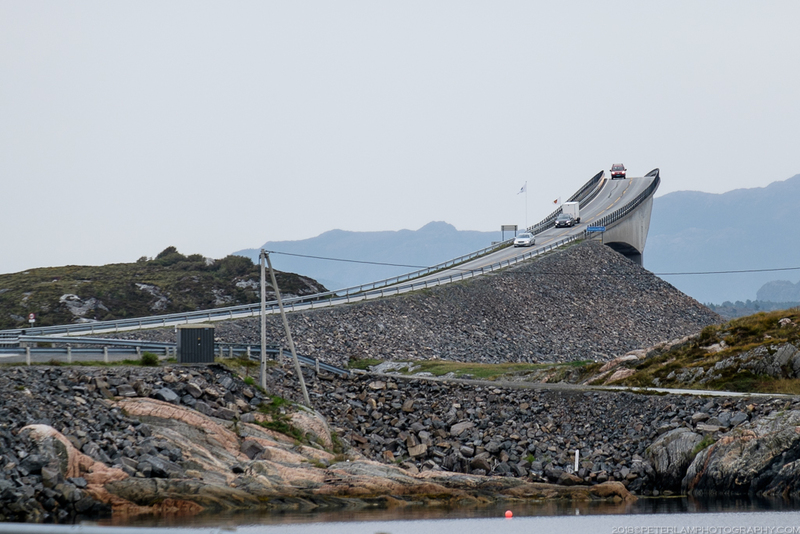 It is famed for its engineering prowess amid spectacular natural surroundings. 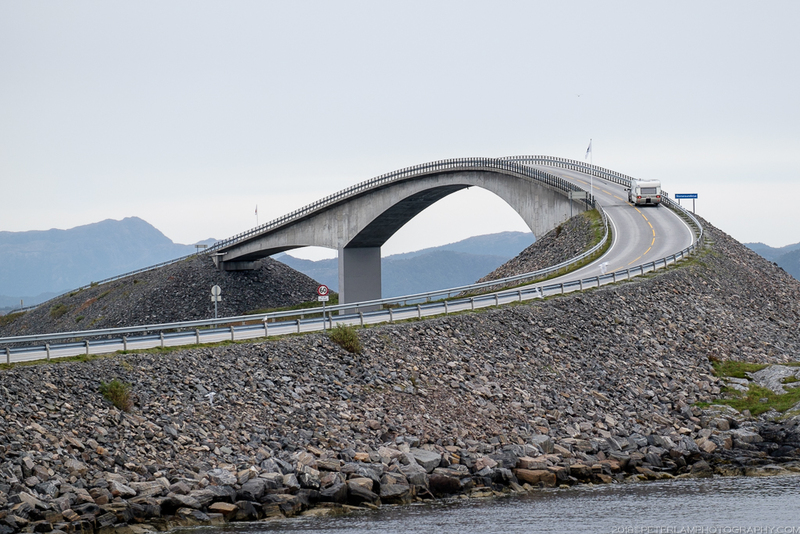 In a country of impressive transportation infrastructure, Atlanterhavsveien ranks right up at the top of engineering achievements. 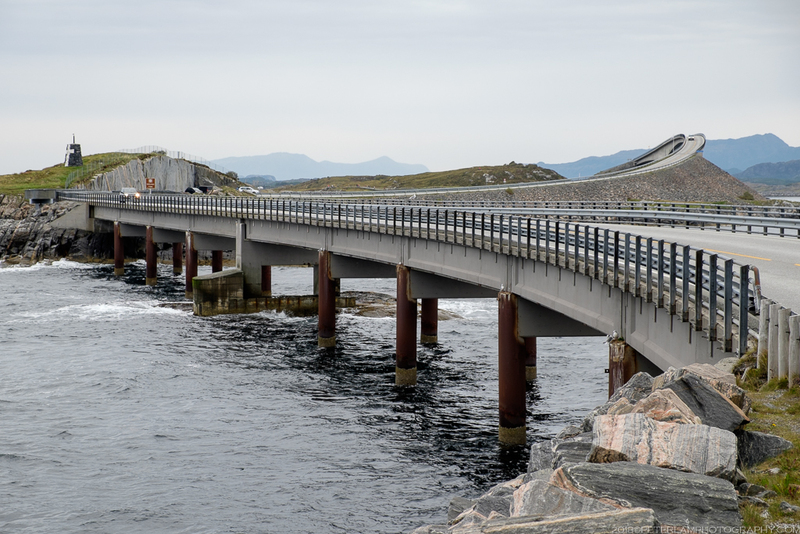 Covering an unsheltered part of the Norwegian Sea, this officially designated National Tourist Route is often cited as Norway’s “Construction of the Century” and often voted one of the most beautiful drives in the world. 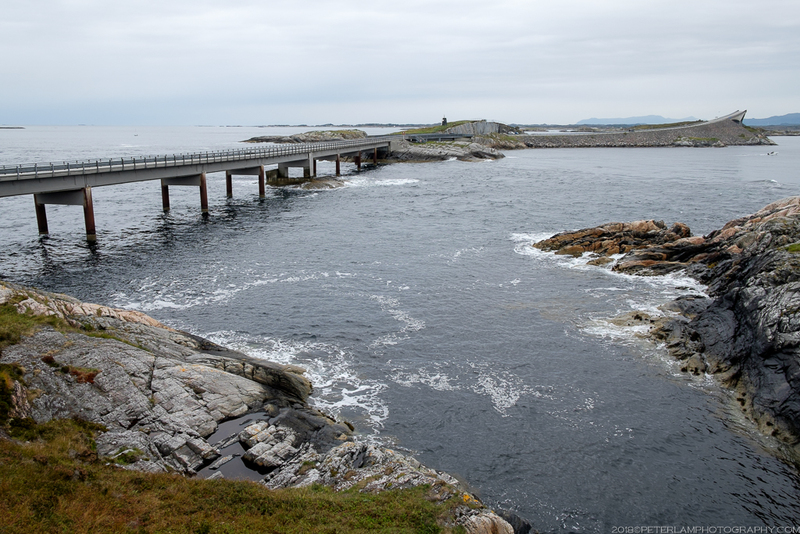 Snaking across islets and causeways right on the Atlantic Ocean, the drive is most dramatic (and terrifying) during unpredictable stormy weather. 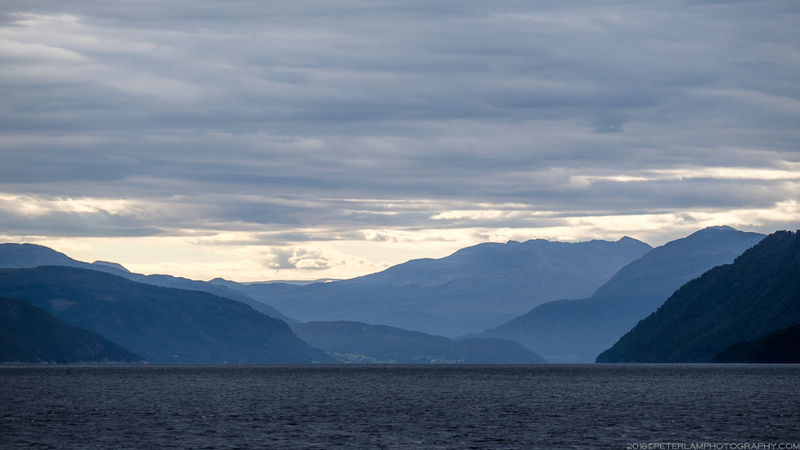 Luckily (or unfortunately, depending on your point of view) we only had to contend with rather drab overcast skies. 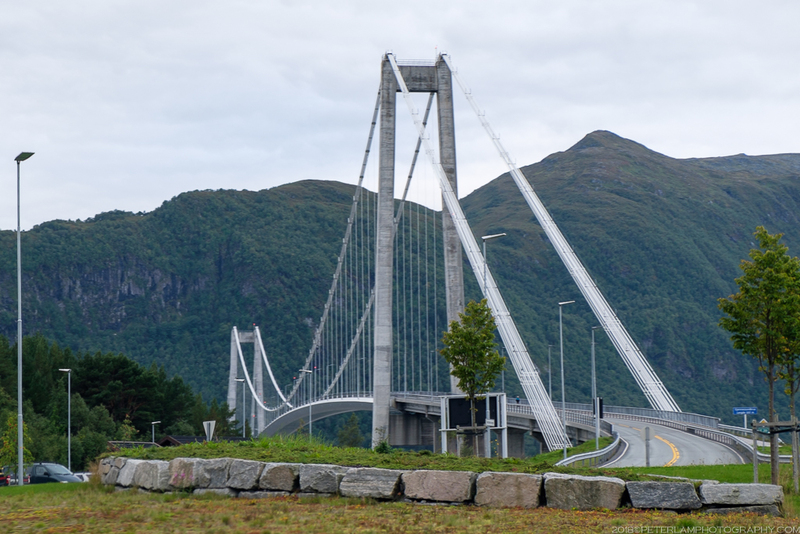 The primary part of the road consists of eight bridges and a number of overpasses and viaducts, with several official viewpoints where you can pull over for photos and explore on foot, right on the edge of the ocean. 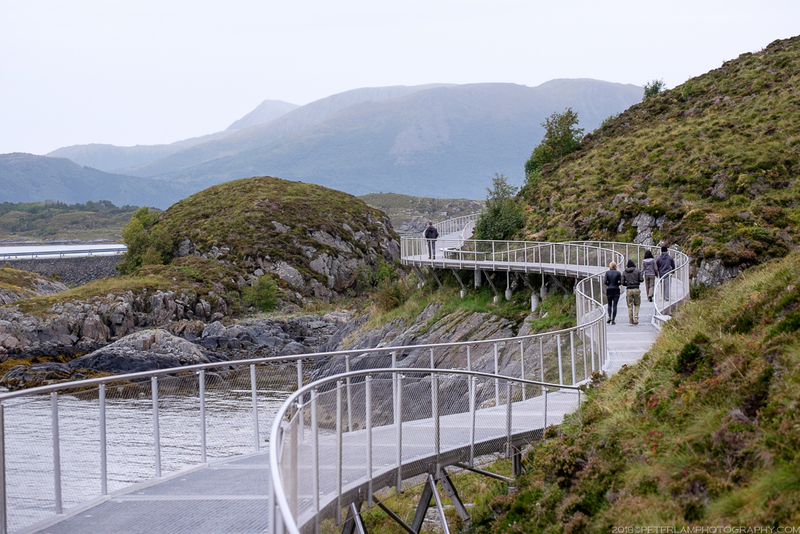 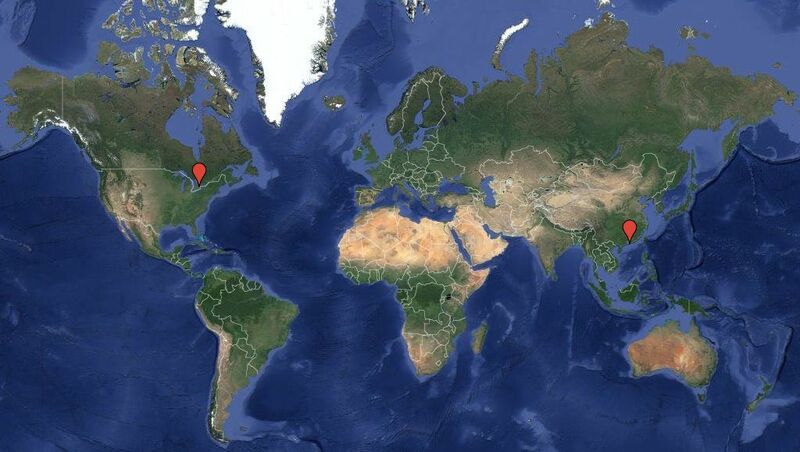 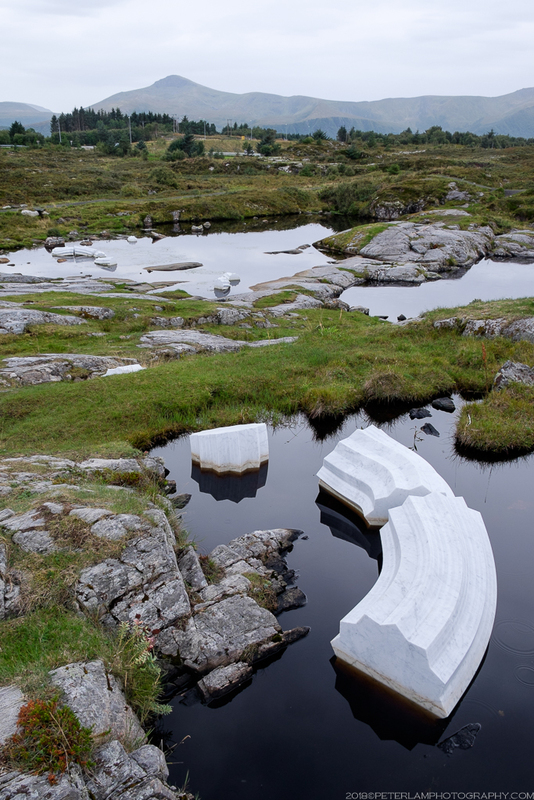 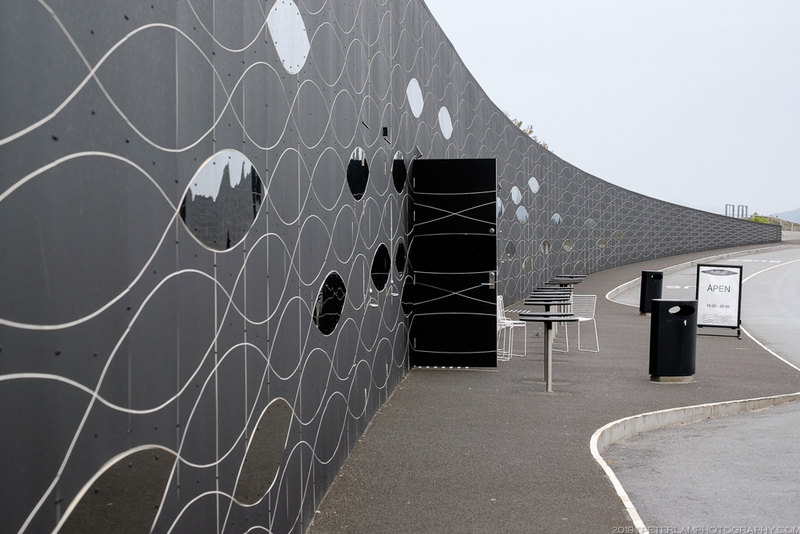 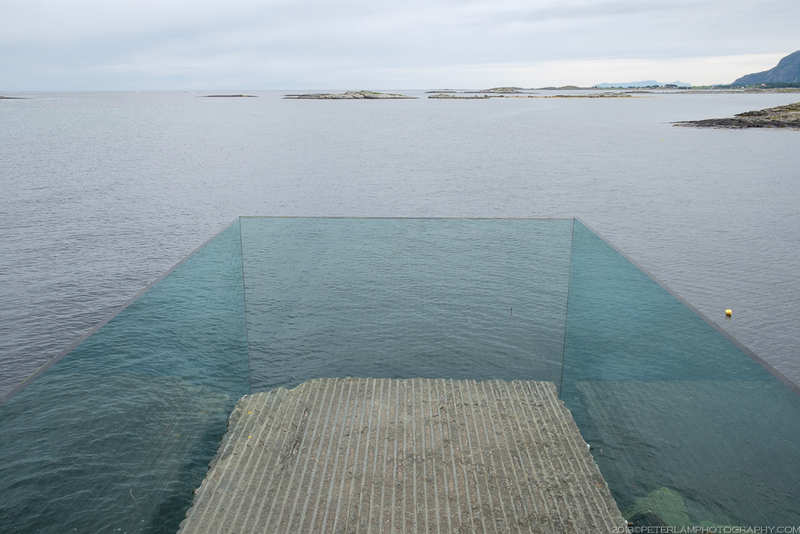 One includes a short hike and modern art installation. 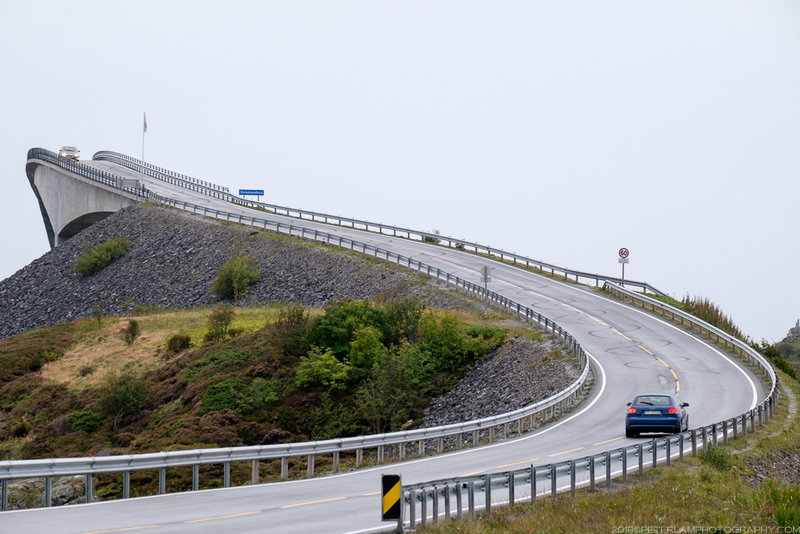 Together with Trollstigen, the Atlantic Ocean Road is at the top of the bucket list for many a driver. 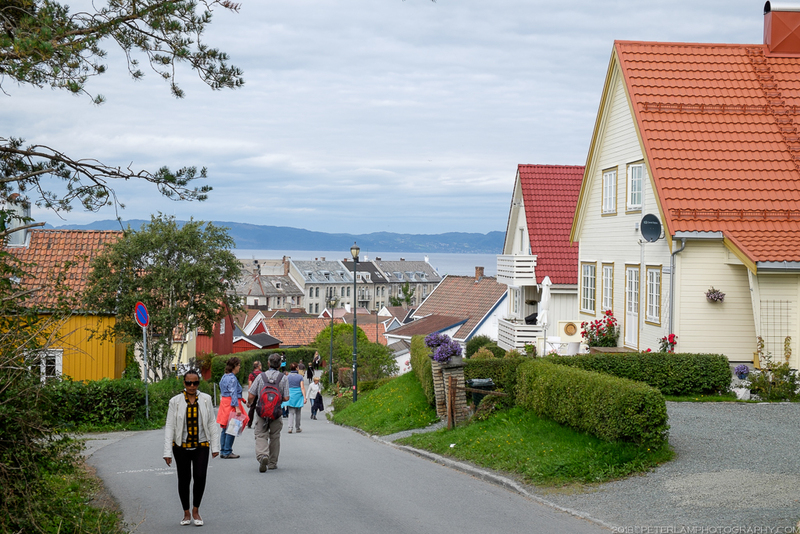 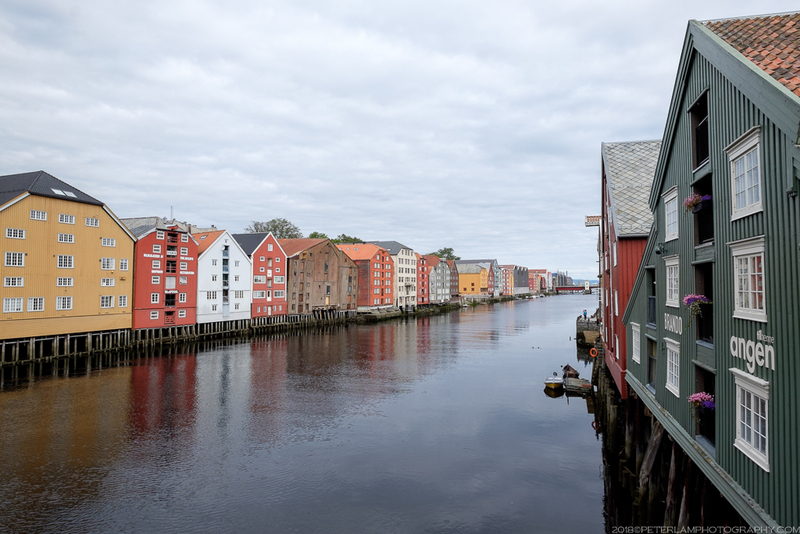 After seeing Oslo and Bergen, it would only make sense to visit the country’s third largest city, Trondheim. 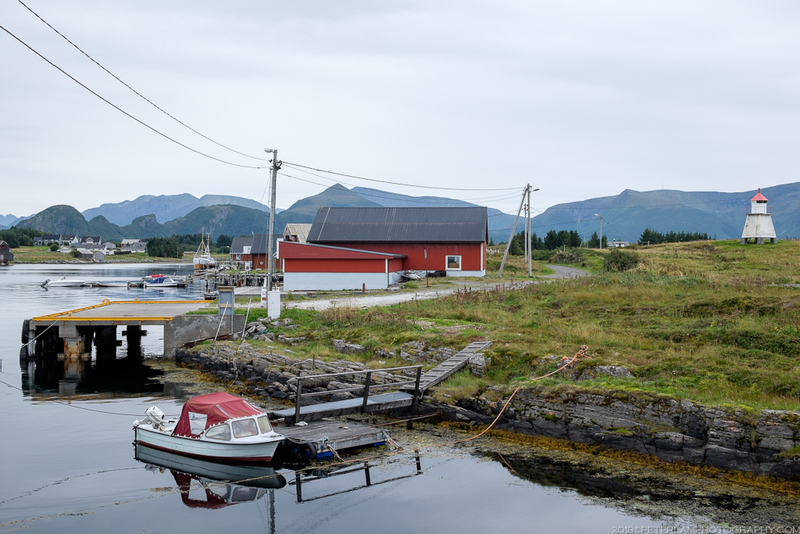 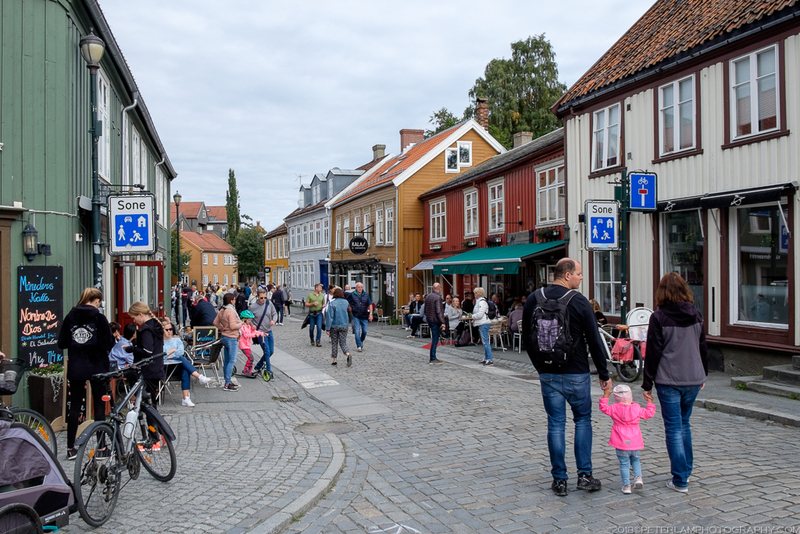 On our second last day in the country, we spent a few hours exploring the northern destination of our itinerary before catching a flight back to Oslo. 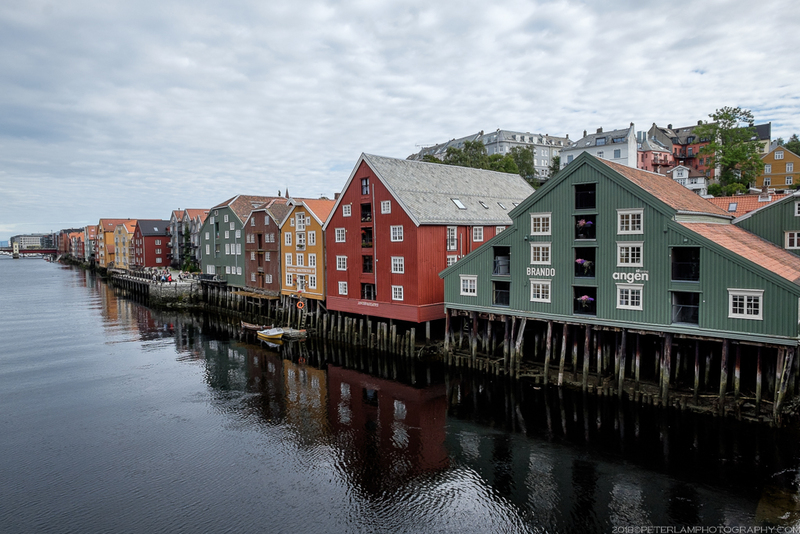 Located at the mouth of Trondheim Fjord and initially founded as a trading post, Trondheim served as the capital of Norway during the Viking Age. 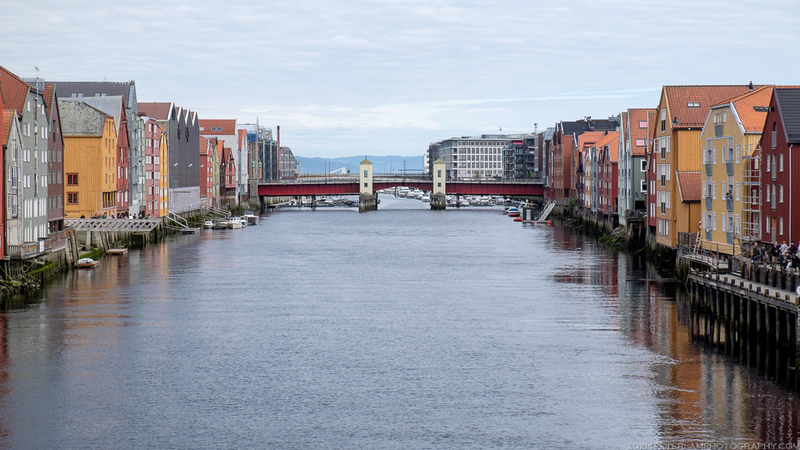 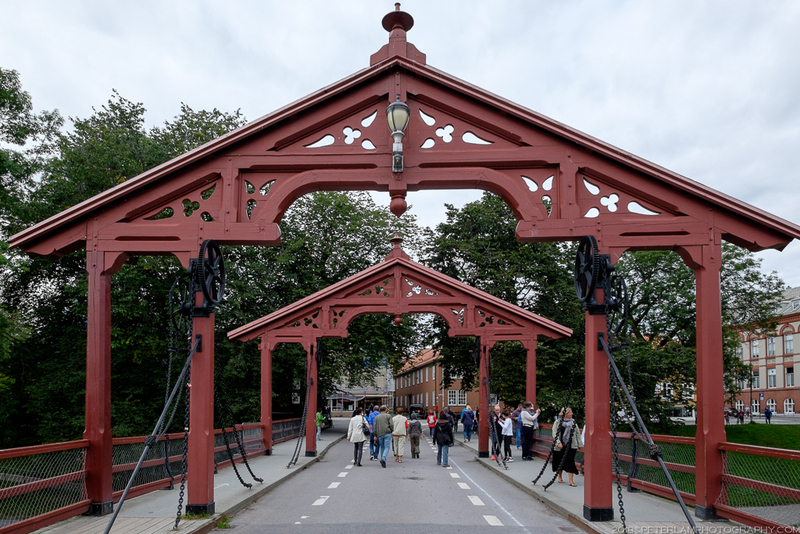 Today, the intimate and vibrant town core with its colourful former warehouses and Old Town Bridge on the Nidelva River is a major tourist attraction. 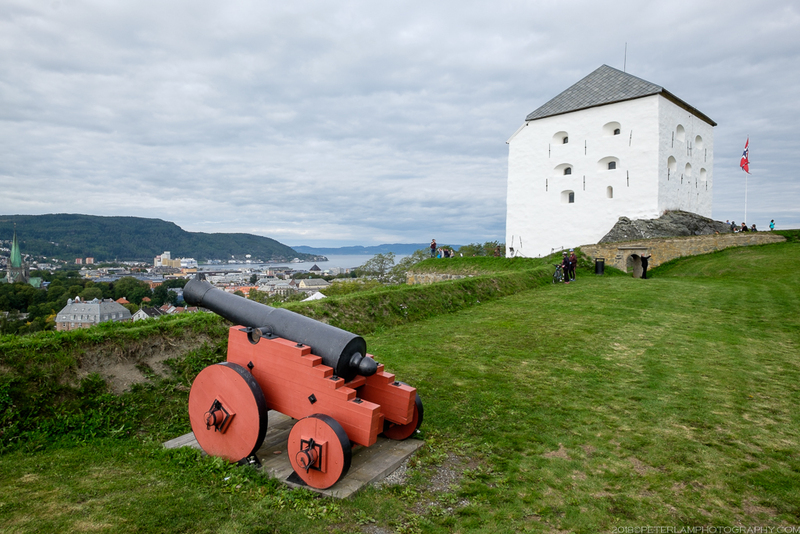 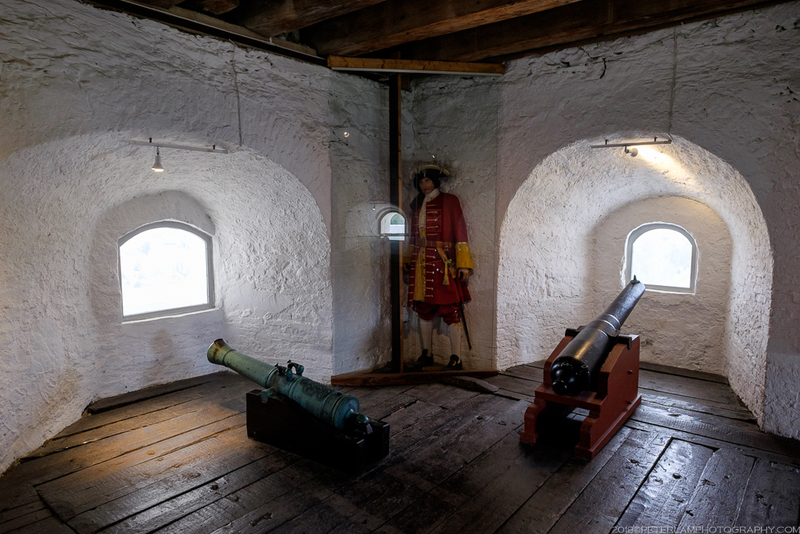 A short walk from the core up a nearby hill will bring you to Kristiansten Fortress with its white defensive tower. 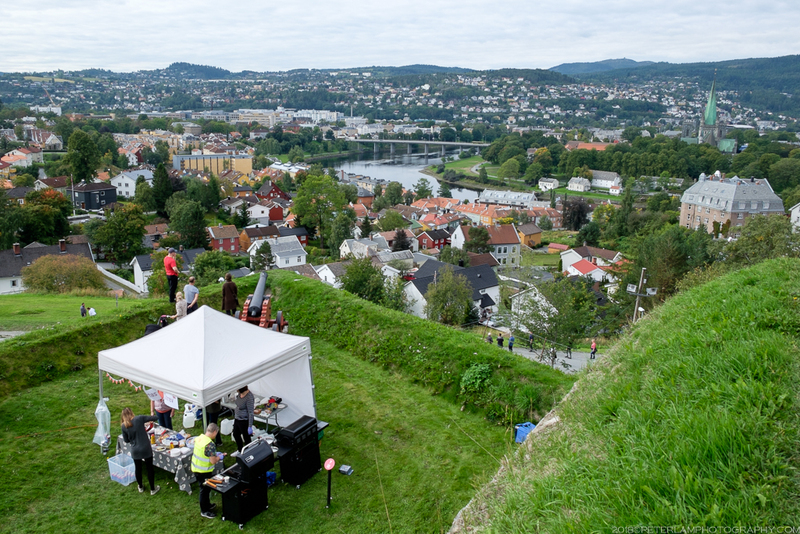 Here you can enjoy panoramic views of the city and surrounding areas.